Laura Ross (born 1988) is an American chess player. She holds the title of Woman FIDE Master. 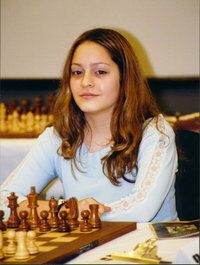 In 1998 she finished 8th in the World Championship Girls Under 10. This article is based on the article Laura Ross from the free encyclopaedia Wikipedia and stands under the GNU-Licence for free documentation. In the Wikipedia a list of the authors is available.